Skandia is a leading provider of pension schemes and health solutions. The company has 2.2 mio customers in Denmark, Sweden and Norway, and employs 2,300 people. Pension scheme and health solutions company Skandia is one of Denmark’s most engaged companies in corporate/employee volunteering. As part of their corporate social responsibility programme, Skandia has developed a manual for corporate/employee volunteering for other companies and NGOs, who want to work together around volunteering efforts. 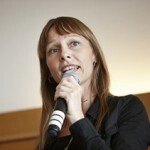 Tania Ellis contributed with comments to the Skandia manual with quotes on current work/life trends. 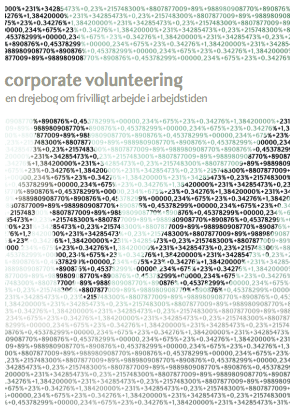 When Skandia launched their employee volunteering manual with a public event, Tania Ellis was invited to give presentation about Corporate Social Responsibility and corporate volunteering as a responsible employer branding trend. Other speakers at the event included Skandia’s CEO, Charsten Christensen, Save The Children Denmark’s General Secretary, Mimi Jacobsen, and Danish Welfare Minister, Karen Jespersen.